When it comes to garage door installation in Evansville, IN, you don’t need to look any further than 31-W Insulation. We’ve served countless satisfied homeowners since our company’s founding in 1972, so you can rest assured that we have the experience needed to get the job done right. Discover for yourself why so many other homeowners have entrusted 31-W Insulation with their home improvement needs, and count on us for the installation of your new garage door. Suits your personal style – Do you prefer a traditional or contemporary design? Satisfies your practical needs – Do you want to make your home more energy efficient? Enhance its security? 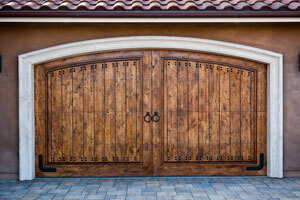 Is within your price range – Are you hoping to replace your garage door as affordably as possible? Or is cost less of a concern? No matter your door’s ideal style, features, or price point, we’re sure to offer plenty of options that perfectly meet your requirements. Regardless of your selection, you can rest easy knowing that your garage door will maintain a like-new appearance and continue to operate flawlessly for many years to come. That’s because we exclusively offer garage doors that have been engineered to stand the test of time by the industry’s most trusted manufacturers, including Amarr®, Wayne Dalton, and Windsor Door. To learn more, contact us and schedule a complimentary consultation in your Evansville, IL, home.